Every business owner these days must be having a key concern in his mind – How to be sure of getting a good presence in online space and what are the different means of achieving good revenue through this presence. There are different means through which this can be achieved, but the most important and the most basic of all, is the way your website is designed. Right from the stage of the web development, if certain key things are kept in mind then that would ensure lesser hassles later when the issue of getting a better ranking on search engines is raised. This is one of the significant advises that is being given by SEO and other online experts. 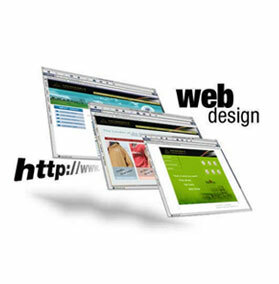 Web Design is the key when it comes to placing the right kind of ads. Not only this, it is very vital when we ourselves want to get advertised well on other websites. This is because of the fact that the different tools used by the search engines are friendlier and more in sync with certain types of web site structure compared to complex and difficult to navigate sites. Moreover, the way your keywords are featured on the web pages is also important because that also knowingly or unknowingly affect the way the search engines identify a particular site or a particular page. So, for every business owner it becomes very much important to have such a site which is developed and maintained from the very beginning in a way that will enhance its rankings once it is fully functional. The design if easily read by the search engine tools will make it easier for us to easily shift from one key word to other when we are adding more and more pages to that site. That ways, the hassle of restructuring the web site and the pages, according to the current tools of the search engines, will become far easier to deal with and that will, in turn, reduce unnecessary expenditure related to the site. Rather, the SEO and other online experts whom we have assigned the task of getting better revenues would be able to focus their skills on other areas rather than wasting their time and energy in redesigning the whole stuff again. These things are better to be learned the safer way instead of getting hard-hit by unnecessary redesigning costs. In this way, the role of a web developer and designer becomes all the more important. If we are aware of these kinds of small details which would be important in later phase of the business, we would be prudent enough to choose an expert developer and designer right in the beginning. That ways, we could save a lot of amount being wasted at a later date. The important credentials, therefore, to look for while selecting a particular expert is to know about his knowledge in developing a web site which is in sync with the latest search engine tools. Hence, someone has rightly said that a thing well begun is half done. Better to be alert NOW, than to regret LATER.